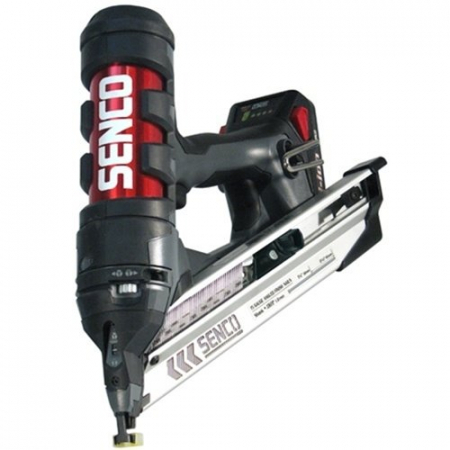 The Senco DS5525 DuraSpin Cordless Screwdriver uses 18v Li-Ion batteries and its powerful 2,500rpm high-torque motor provides plenty of power for hard woods, cement board, and subfloor. Drives screws from 25-55mm in length. 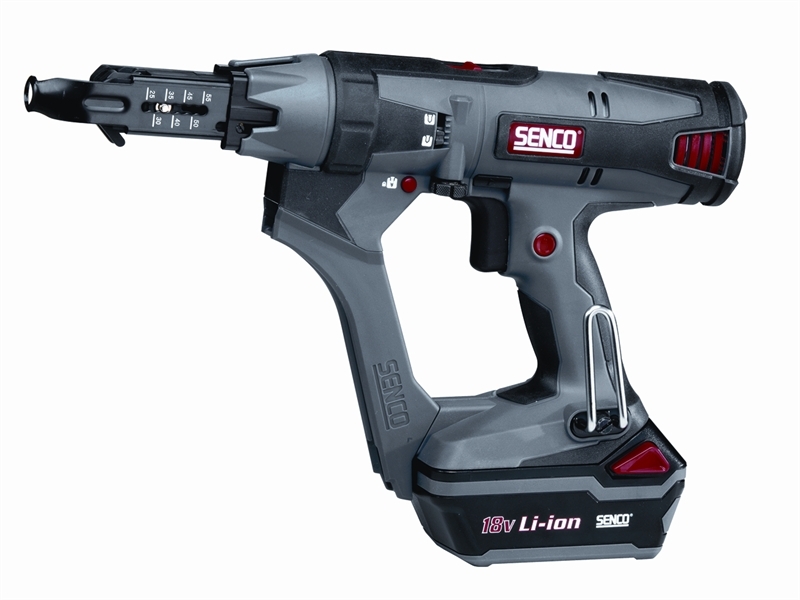 Has smooth drive operation and a variable speed trigger, with lock and reverse, that allows you to control the rpm of the tool. Corner-fit indexing technology allows placement of screws into tight places which are unreachable by any other auto-feed screw guns. Ideal for applications including Drywall, Crating, Decking, Decks, Pallets, Sheathing, Sub-flooring, Underlayment, Upholstery, Cement Board, Exterior decking, Floor Sheathing, Metal to Metal, Wood to Wood. 2 x 18v 3.0ah Li-ion Batteries.